Whole Foods is one of the first major companies in North America to meet 100% of its electricity needs with a mix of onsite and procured renewable energy sources. 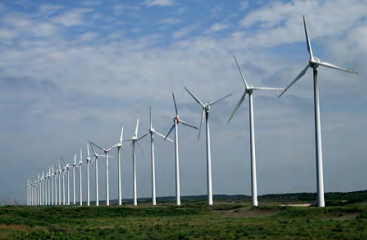 In January 2006, the natural foods market chain began offsetting all the electricity used in all its stores and other facilities in the United States and Canada with renewable energy credits (RECs) from wind farms. The company With the exception of 2008, Whole Foods has bought wind power RECs to help achieve its 100% renewable power goal every year since. Whole Foods' investment in wind power helps the business avoid more than half a million metric tons of CO2 emissions annually. According to the company, that is the equivalent ecologically of saving 1.2 million barrels of oil or electricity usage at 65,000 average homes. 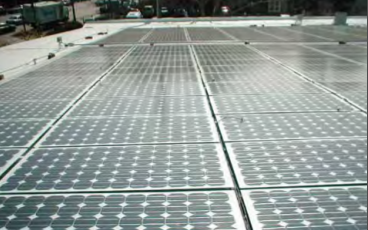 The company also produces solar from onsite systems at several of its stores. For example, the store in Berkeley, CA is primarily lit by its solar system and became the first major food retailer in the U.S. to do so in 2002. The LEED Gold equivalent Dedham, MA store gets nearly 100% of its power needs met by a fuel cell and solar panels. Whole Foods' store in Brentwood, CA additionally uses solar energy for 24% of its power source, and the Edgewater, New Jersey, store is home to a 14,000 square foot of solar array. Whole Foods has been recognized by the U.S. Environmental Protection Agency for its renewable energy purchases and other ecological actions.